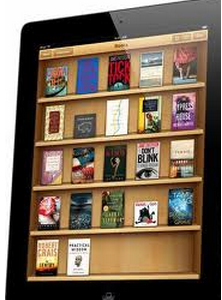 iBooks 2 Is It The 21st Century Digital Textbook Revolution ? In its first major announcement since the death of Steve Jobs, Apple Inc has recently released iBooks2 and iBooks Author.It seems like Apple is planning to radically transform the digital textbook market. iBooks 2 which is an updated version of the company's iPad e-reading app that supports interactive textbooks, is a complete reinvention of the textbook as we know it. Major educational publishers including Pearson,, McGraw-Hill and Houghton Mifflin Harcourt have already partnered with Apple to develop iBooks Author. 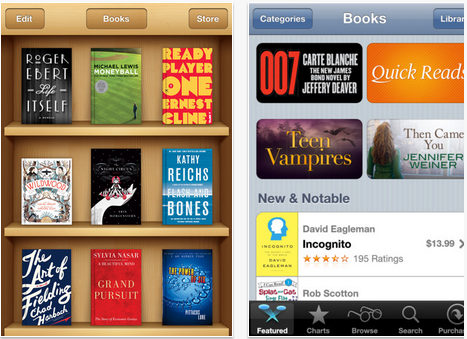 This is Apple's video to promote iBooks 2. Educational technology experts and curriculmum designers see this move as the beginning of the end for the " big backpack" and a major step in taking advantage of the device's portability and cost-effectiveness. Roger Rosner, VP of Apple's iWork, said " Clearly, no printed textbook can compete with iBooks2 interactive digital texts." This is all awesome and promising and yes iPad with its ability to play video and combine informatio from many resources has definately positioned it as the lead of the evolution of the digital textbook but the question that remians unanswered is that both Students and schools will need iPads to use iBooks but who is going to afford the cost of this digital transformation ?